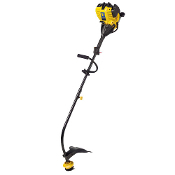 Here you will find quality products that make your trimming, edging and gardening jobs easier. If you have any questions about compatibility with your trimmer please visit our Tech Support section, give us a call at 1-800-210-9949 or send us an e-mail, techsupport@cmdproducts.com. Designed for weeds, tall grass and brush. Replacement blades for GrassGator® bladed units. GrassGator® Pre-Cut (Fixed) Trimmer Line heads. Designed for cutting grass, weeds, trimming and edging. GrassGator® Bump & Feed style Trimmer heads. Versatile heads that are 2 tools in 1 to save time and money. 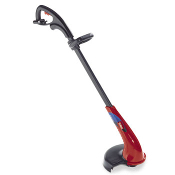 Heads designed for commercial grade trimmers with the professional user in mind. Heads that fit most Curved Shaft Gas Trimmers. GrassGator® Good quality trimmer line. Round. From .050 to .130 diameter. GrassGator® Better quality trimmer line. Shaped. From .065 to .155 diameter. GrassGator® Best quality trimmer line. Twisted. From .065 to .155 diameter.